One pantry item that I almost always have on hand is canned beans. Whether it’s white, garbanzo, pinto or black. Beans are always great to have on hand to make a dip or add into a dish as a healthy protein. For this dip, I’ve used white beans. 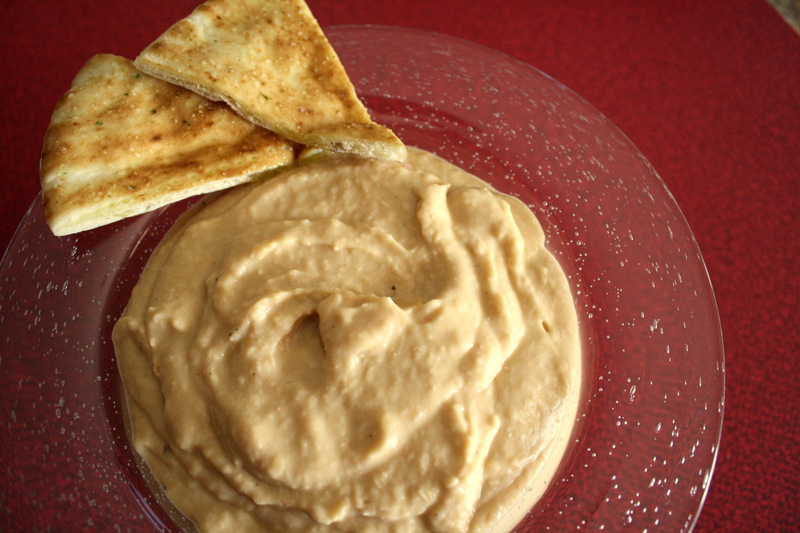 I decided to make this dip a bit smoother, almost like a hummus. You can certainly keep it chunkier if you like. Just process it a little less. 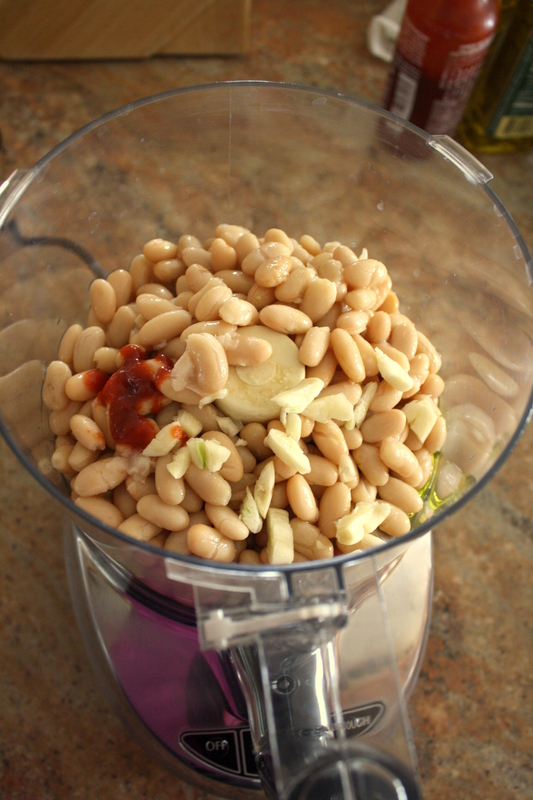 Throw a can of white beans into your food processor or blender with olive oil and garlic. Now add in the fun seasonings like curry powder and Sriracha hot sauce for extra flavor. If you like it extra spicy, you can add in another tablespoon of hot sauce. I stayed with one tablespoon of Sriracha because of my kids. You know how they can be! If you notice the dip is too thick, you can stream in some water until you get the consistency you like. 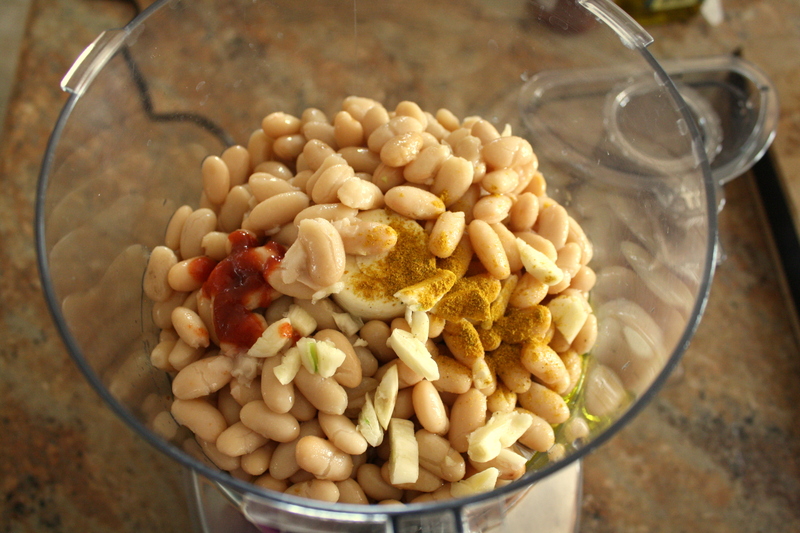 In a food processor, combine all the ingredients. Blend until smooth. 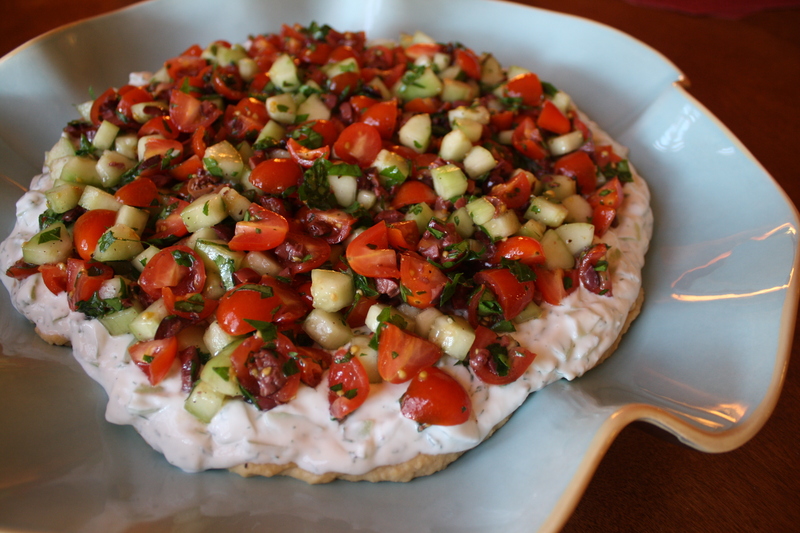 Serve with pita chips or your favorite crackers. 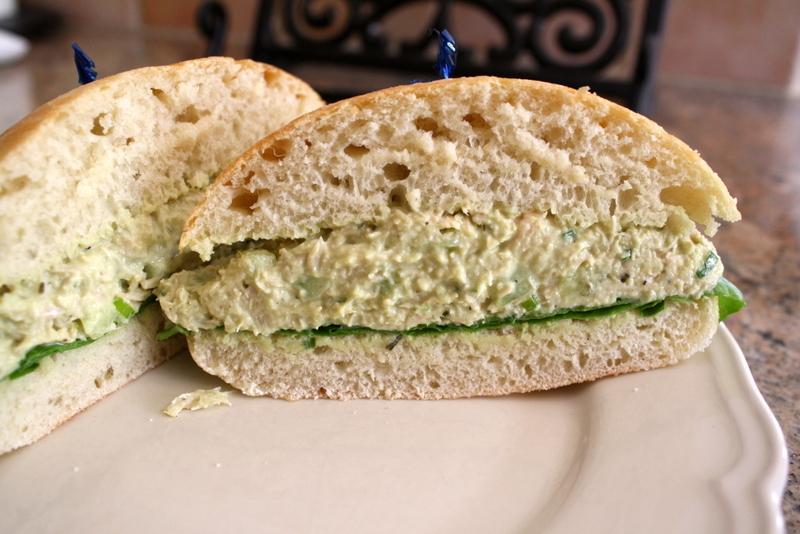 I call this a GREEN chicken sandwich because all the other ingredients besides the chicken are green in color: avocado, green onion, cucumber, and spinach. I made this sandwich for a light lunch with friends. It was a little fancier than deli meat and cheese, but not too difficult for a quick lunch. It’s also great as a make ahead. 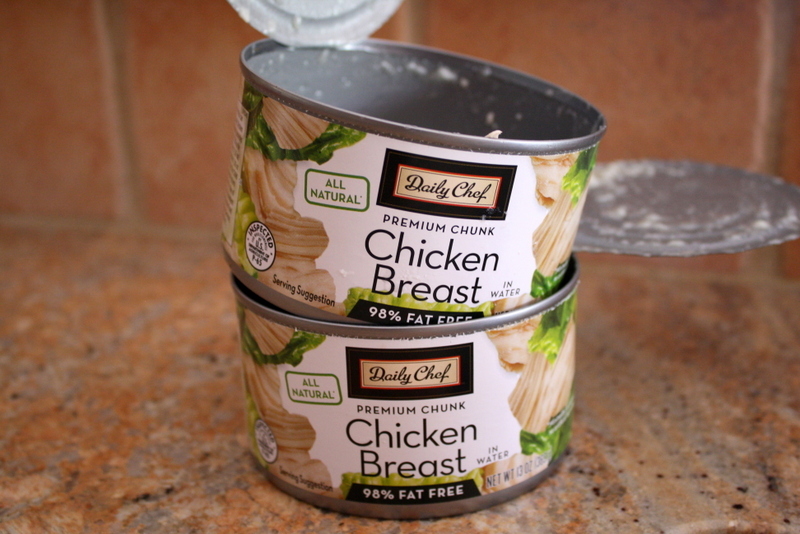 Start with two cans of chicken breast. 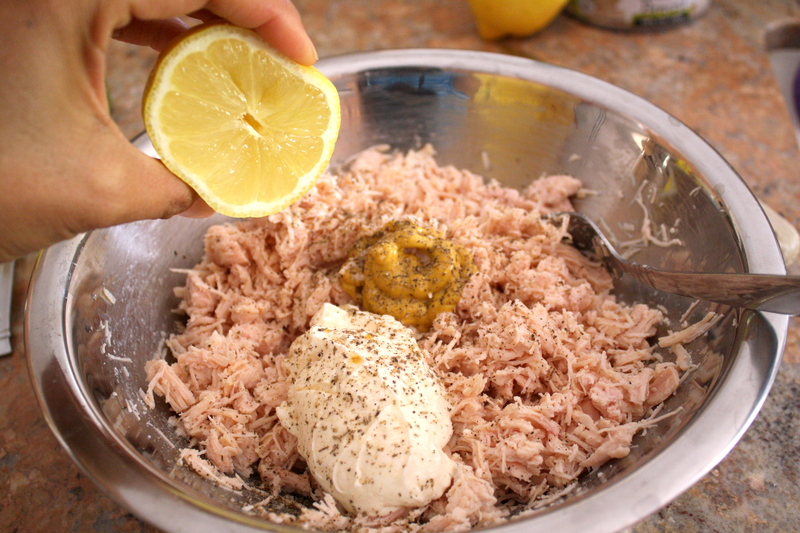 Mix in mayo, mustard, juice from half a lemon and salt and pepper. 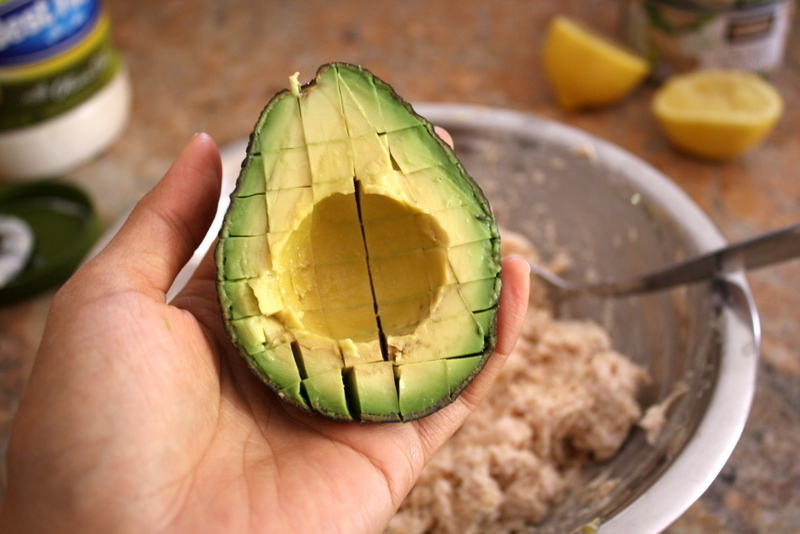 Add in half an avocado, diced up in the skin. You can then easily scoop this out with a spoon into the bowl. 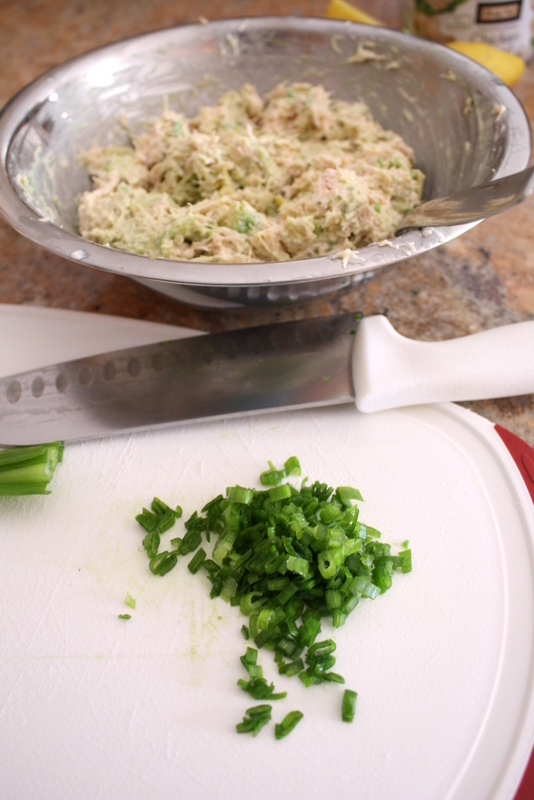 Dice two green onions for a little kick. 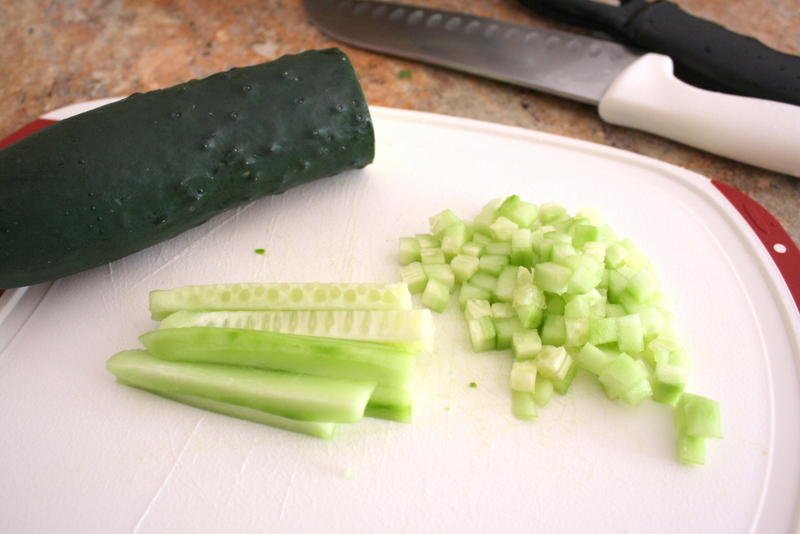 Peel and dice up half a cucumber for crunch. If you want a carb-free option, this would be great in a leaf of romaine lettuce too! Toast and slice the ciabatta and lay down a bed of baby spinach. 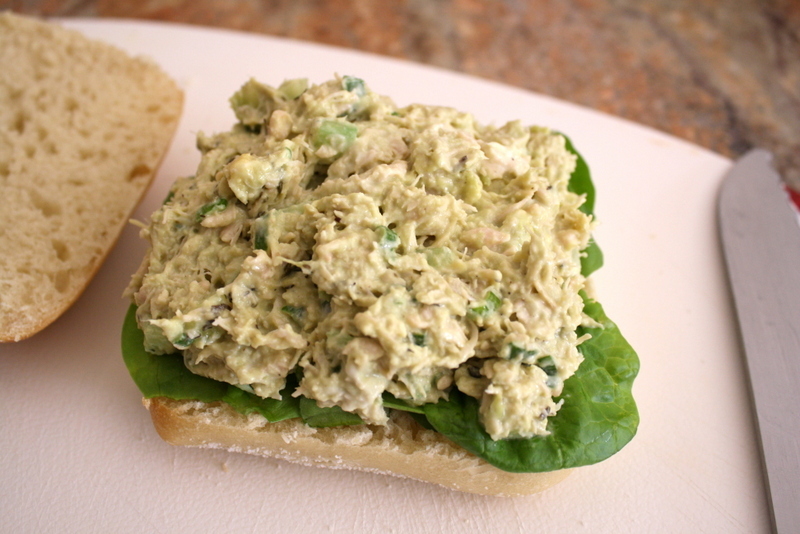 Spoon on some of the chicken salad and enjoy an easy but fancy chicken salad sandwich. 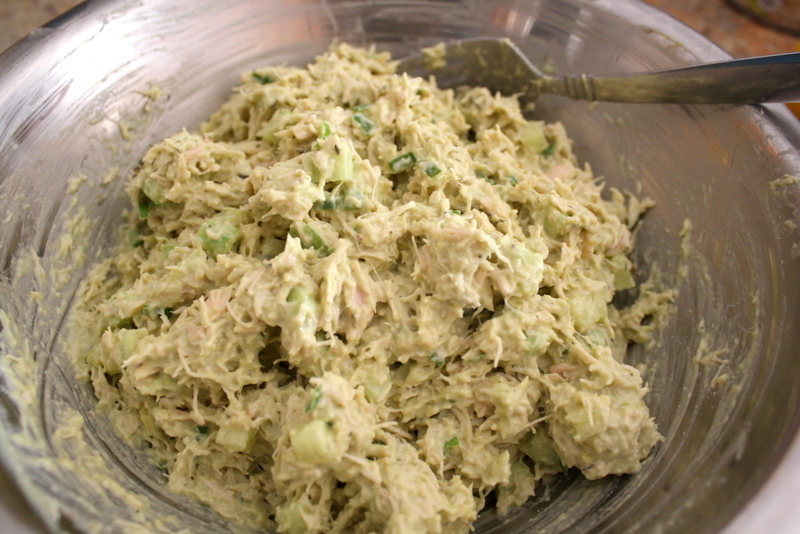 Drain the chicken and place into a medium sized bowl. Mix in all the remaining ingredients except for the spinach. 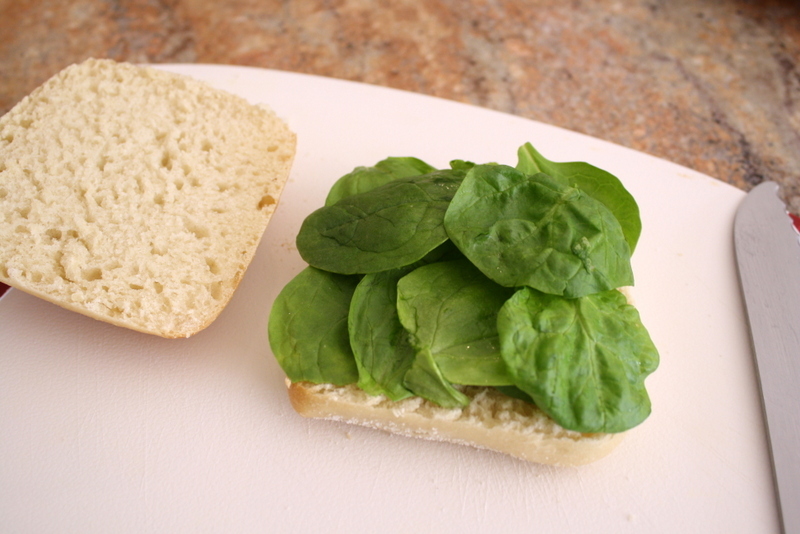 Toast and slice the ciabatta bun and layer pieces of spinach on one side. Top with chicken mixture and the other slice of bun. Slice on the diagonal. Make 4 sandwiches. 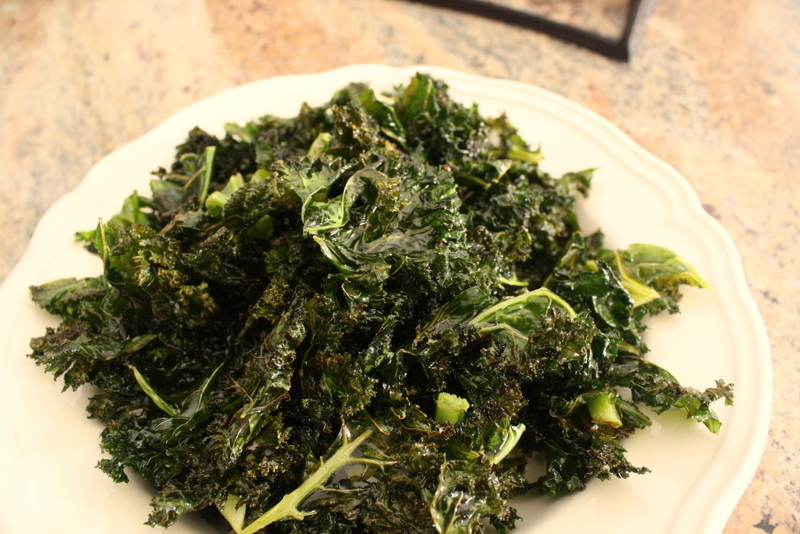 Okay, I’m jumping on the kale bandwagon too! I know I’m a little late, but I was so happily surprised by how well these chips came out, I had to post about it. 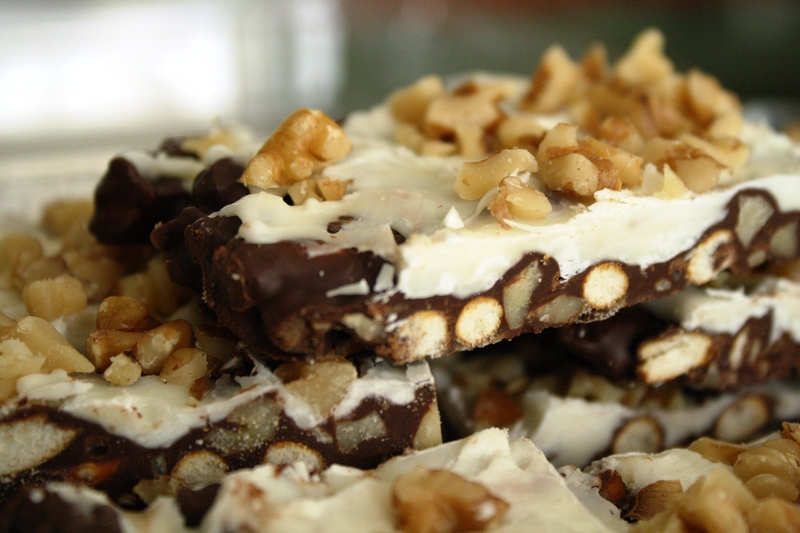 Besides being a superfood filled with nutrients, this is also very easy to make. Just 4 easy steps! 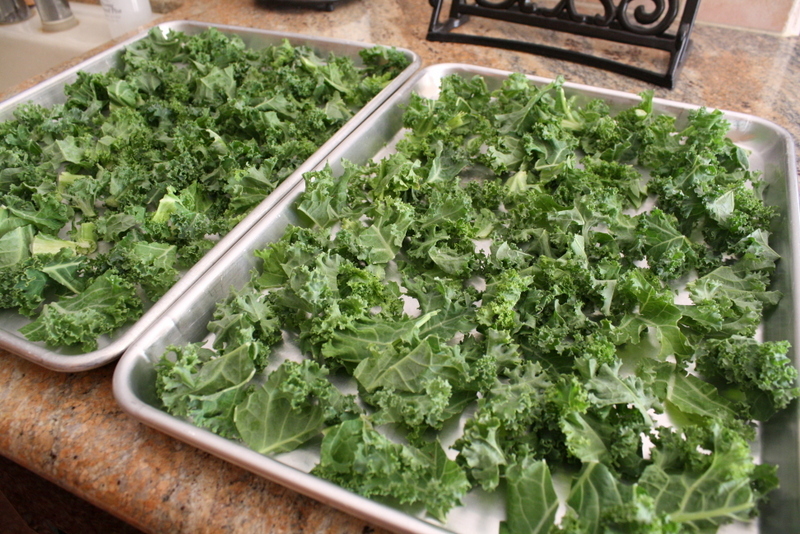 Start with washing and cutting the kale into bite-sized pieces. Make sure to dry thoroughly as well. Spread out the leaves on a large sheet pan, with no overlapping pieces. Drizzle it with olive oil and sprinkle with salt and pepper. Once thoroughly coated, lay flat and throw it in the oven. The oven does all the work. Here are your crunchy, flaky chips that are also good for you. Doesn’t get any better than that! Tear the kale leaves from the thick stems, then tear into bite size pieces. 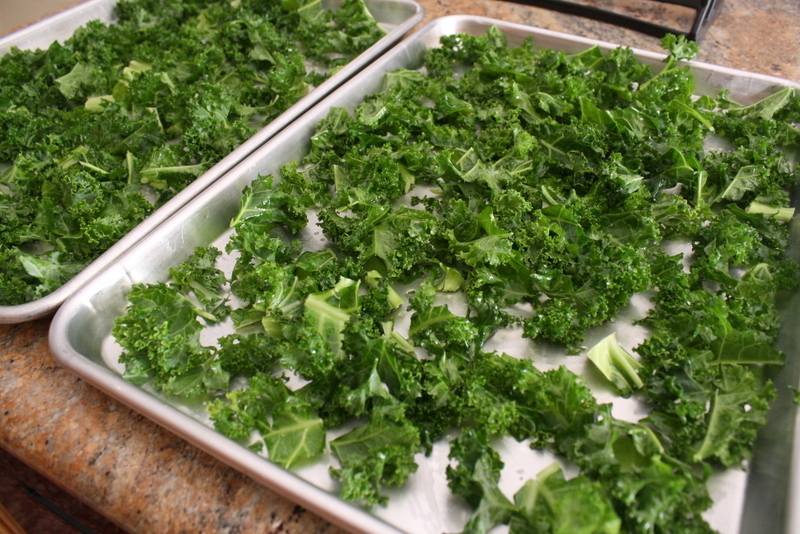 Wash and thoroughly dry kale with a salad spinner and lay flat on a large cookie sheet. 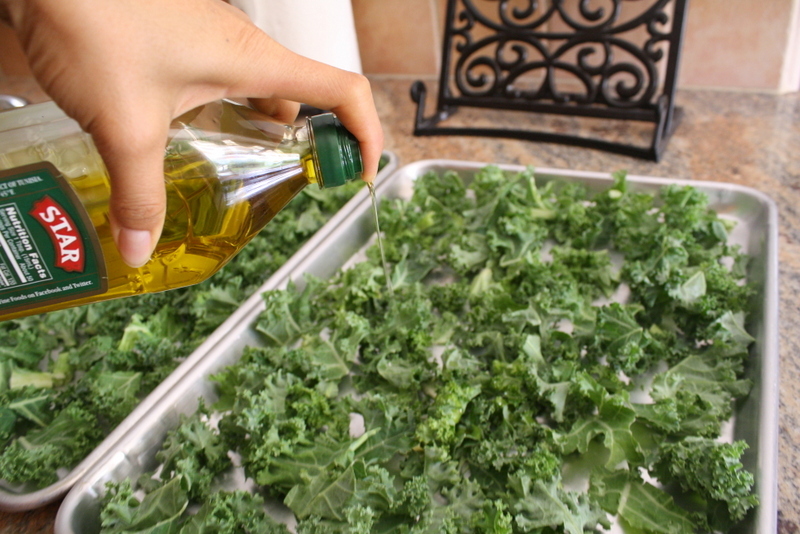 Drizzle kale with olive oil and sprinkle with salt and pepper. 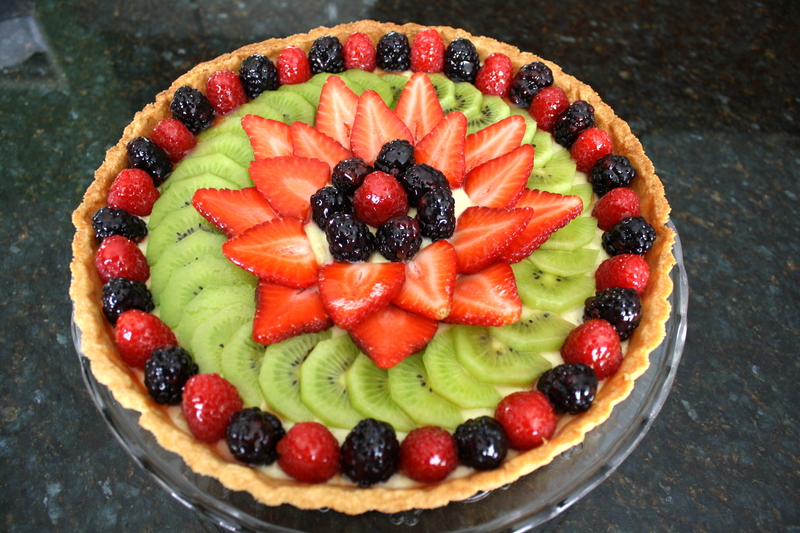 Bake until the edges are brown, but not burnt, 10 to 15 minutes.